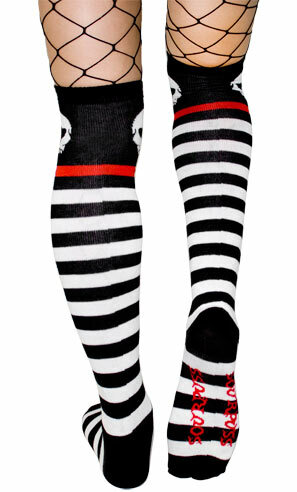 Here's a pair of stripey over the knee socks! 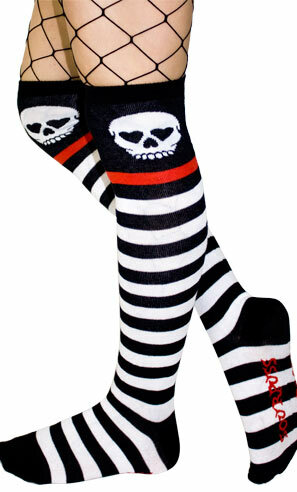 These black & white stripe knit socks have a white skull at the top, one red stripe with black heel & toe. Measurements are from heel to cuff.